Kitchen Snaps: Grilled Lamb Chops with Spicy Chili-Cilantro Sauce ~ What are the rules? 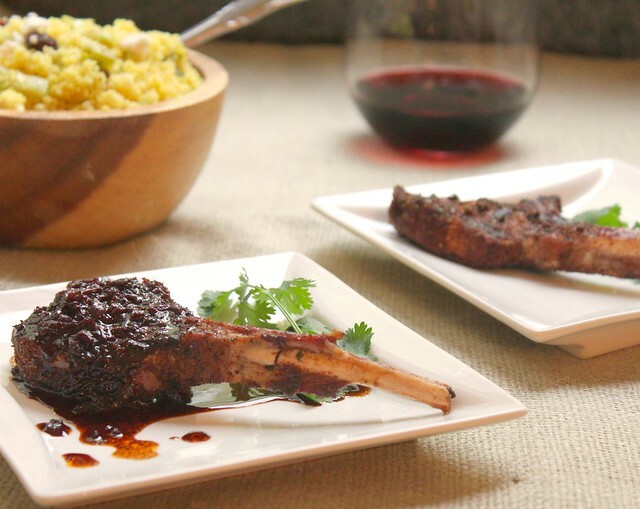 Grilled Lamb Chops with Spicy Chili-Cilantro Sauce ~ What are the rules? I was excited yesterday to find frenched Lamb Chops for $11.99 a pound. I realize that's still not inexpensive ...but it's far better than the $19.99 I've been seeing! The Lamb Chops looked beautiful, they were meaty, tender, nicely trimmed... so I decided to pick some up! What are the, "RULES" when it comes to renaming recipes? I think this dish would be more appropriately named, "Chili and Cilantro Rubbed Lamb Chops with a Spicy Red Wine Chili Sauce." ....but that's just my opinion. Oh and because I have an extremely difficult time using two full cups of wine in almost any recipe (but especially one with dainty little lamb chops) I halved the sauce recipe....except for the shallot and the garlic whose measurements I kept the same. 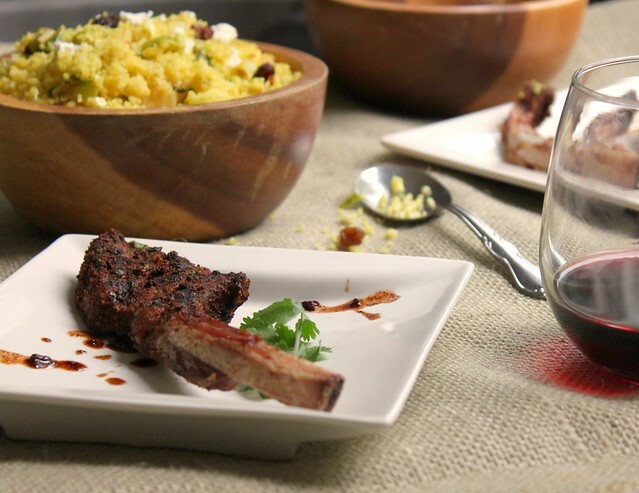 My husband and I really enjoyed this recipe, it was a welcomed change from our usual Lamb Chop repertoire and one we'll be making again and again! Looks and sounds delish, as usual...! I am in love with this dish, and the pictures are over the top wonderful! I can't afford lamb chops, but do enjoy the much less expensive loin chops. You did a beautiful job. Thanks all! They were delicious! :) If you like lamb...it's a must try! I think your name is much better because it prepares your palate for the real flavor. Rules are meant to be broken. I confess, I don't really consider lamb chops, but I so adore your first photo with the juicy juice I can almost taste them. This looks delicious! 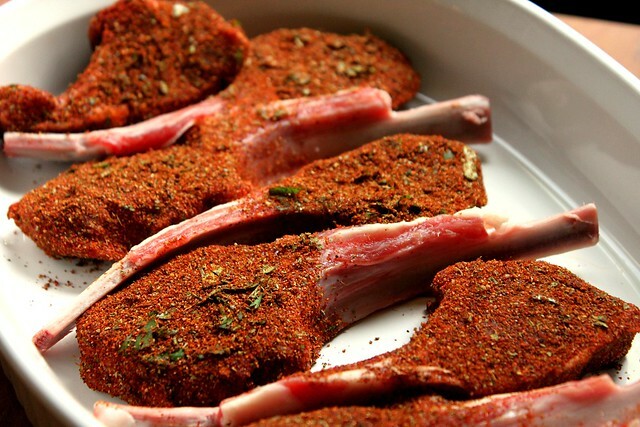 I love lamb chops and these look amazing! That is odd...just because cilantro is in the dish doesn't mean you can just throw it in anywhere in the title!! I vote for yours instead. The dish looks supremely yummy, as always...loving the (cilantro-less sauce)! 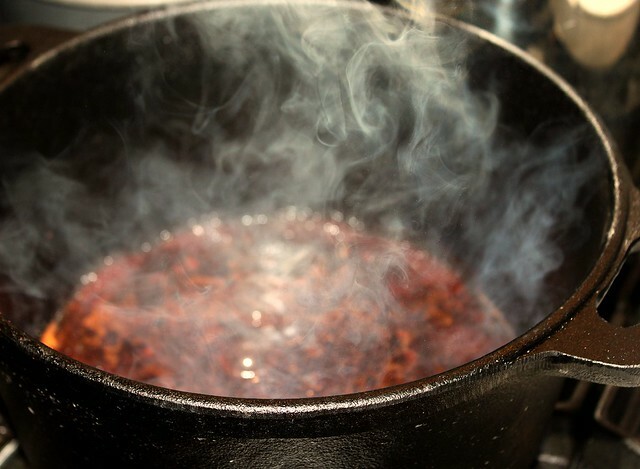 Cooking is all about breaking the rules. A recipe is just a foundation-so, you get to name it anything that suits your fancy. Your lamb chops rock. This is a very elegant dish. I will gladly bring a good bottle of wine if I can pull up a chair and join you. I'm such a cilantro fan. Did the flavor of the cilantro come through at all in this dish? Aren't lamb chops just the best! I agree about halving the wine. A mix of herbs and spices make the dish more tangy. It adds refreshing taste as well. This grilled lamp chops recipe is something worth trying. I would put some bay leaves when I try it at home to add some spices.